The pictures were taken on July 3rd. This was the first Friday after June. It was important for us to celebrate Yaara's birthday with her friends from kindergarten and wanted them all to come even though they started their summer vacation. 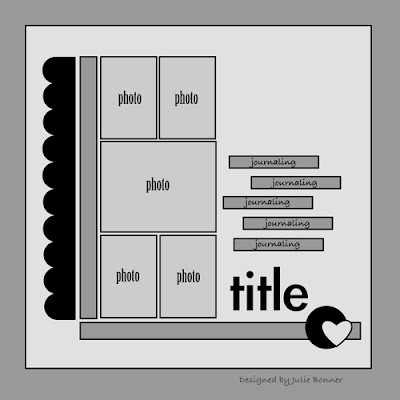 The journaling says: We invited all your friends from kindergarten and all the family to celebrate your birthday. The theme that was chosen was "Dora". Happy birthday my big girl, I wish you always be happy! 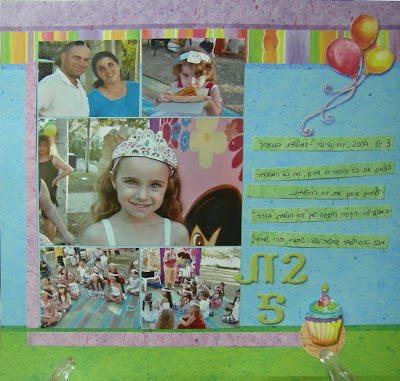 I used: Miss Elizabeth Birthday papers, Thickers (transformed to Hebrew :-)), Stampin' Up! Circle punch, Sharpie. I bought today a display stand and I used it for the first time (you can see its "legs" at the bottome of the page). I'll see if the pictures are better this way in the next few posts.